This listing is for one custom Eye Shadow Palette. 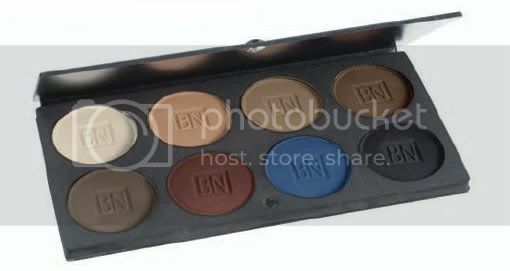 Note this color assortment palette is discontinued by the manufacturer. Because this is a custom palette for the colors mentioned down below, it may take around 1-2 weeks to put together this custom palette before shipping out. Eight classic, best-selling shades in a sleek, fiberboard case with magnetic closure. Shades: ER-302 Vanilla, ER-319 Honey, ER-34 Taupe, ER-56 Espresso, ER-53 Ash Brown, ER-76 Burgundy, ER-90 Navy blue, ER-99 Black. If you need to order empty palette or refill, please contact us.